The striking interiors here are in the highest contemporary style along with exquisite design. The Topaz Bar is among the best in the city, and hotel services include a daily proverb. One of the most fashionable hotels in the city, deserving attention because of its innovative design, excellent business accommodations (the desks are huge slices of granite with contemporary communications), and its fine bistro-style restaurant. The in-room CD player/ radio provides sound environments including ocean, brook, forest, or wind. On a corner of Lafayette Square, this 1862 building has been transformed by the French Sofitel chain into an elegant contemporary hotel. The soundproofing and acoustic doors are a welcome feature. The restaurant serves refined French cuisine. The handsome, recently renovated, and large guest rooms and suites are colonial-inspired, but all have a refrigerator, microwave, and coffee-maker. Some have complete kitchens. The Kennedy Center and Metro are nearby. Mini-suites with refrigerator, microwave, and coffee service are offered at this elegant hotel at one of the best addresses, right up from the C&O canal in Georgetown. The fixtures are beautiful – marble bathrooms and good art on the walls. The service is excellent. Two 1920s buildings offer big hotel amenities in a charming and personable environment. The main building is on the National Register of Historic Places, and has some marvelous Art Deco ornamentation. There is no elevator. 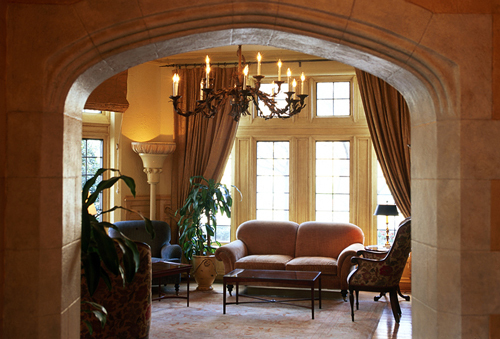 A recent refurbishing transformed this hotel with imported fabrics, Oriental rugs, and original art. It is now pet friendly too. The restaurant is bistro-style. Newly renovated, this small hotel exudes elegance, sophistication, and power, catering to ladies and gentlemen of classic tastes. Billing itself “Washington’s Correct Address,” this hotel is filled with the finest of everything. The decorative items and artwork displayed throughout the hotel are of collector’s quality. A modern building in a first-rate location at the heart of the city, the Melrose is well known for its refined luxury. The furnishings are contemporary but with classic influences. The largest convention hotel in Washington combines charm with modern services and technology. There are scores of meeting rooms here and an exhibition area. The well-maintained rooms offer all business services. 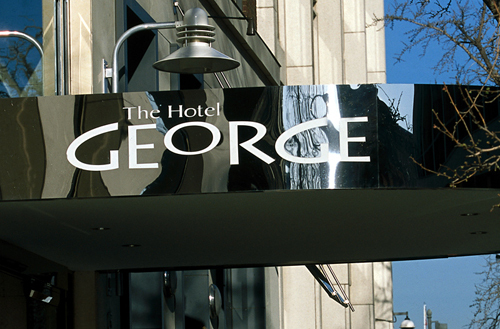 This hotel has all business amenities and is convenient to the Pentagon and within a mile of Reagan National Airport. There are 13 meeting rooms, a concierge, and a business center. Adjacent to Rock Creek Park, this grand hotel sits on 11 landscaped acres. A dynamic, luxury hotel that has hosted countless important guests and meetings. The full business center also includes clerical support. Multiple large meeting rooms. This distinguished hotel is recently renovated. The guest rooms offer a desk with high speed internet modem connection and voice mail, and cable TV with in-room movies. Seven meeting rooms are available with tele-conferencing and a multilingual staff. Pets are welcome. Well-furnished rooms with good work areas and a separate living room for meetings or relaxing. Conference rooms with extensive equipment available for rent. Indoor swimming pool and fitness center. Breakfast included. 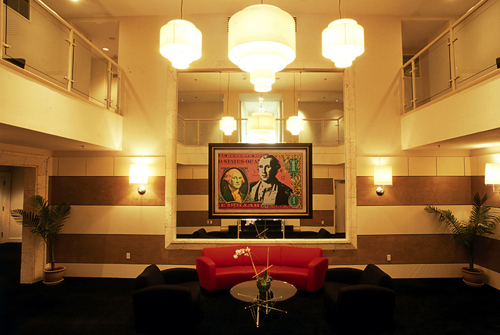 Business travelers receive excellent services at this Foggy Bottom hotel. A knowledgable staff manages the four meeting rooms, and suites have lots of seating space for work. Larger suites have full kitchens and walk-out balconies. There is also an outdoor pool. A huge range of meeting rooms and guest rooms with desks and modern communications. Totally remade into a very modern 3-star business hotel with a professional meeting specialist. The garden setting is lovely, and the elevated location gives a good view of the skyline. Both the layout and size of this complex create a resort atmosphere, while staff and facilities offer every amenity. Situated in an old 1891 bank but completely up-to-date. Near the city’s convention center. The hotel has two conference rooms.